Covenant Discipleship groups consist of up to seven persons who meet together for one hour each week to hold themselves mutually accountable for their discipleship. They do this by means of a covenant, which they themselves have written. The covenant (sample on the back) is shaped by the General Rule of Discipleship: To witness to Jesus Christ in the world and to follow his teachings through acts of compassion, justice, worship, and devotion under the guidance of the Holy Spirit. The weekly conversations are centered in grace to be a weekly compass heading for living in the world. 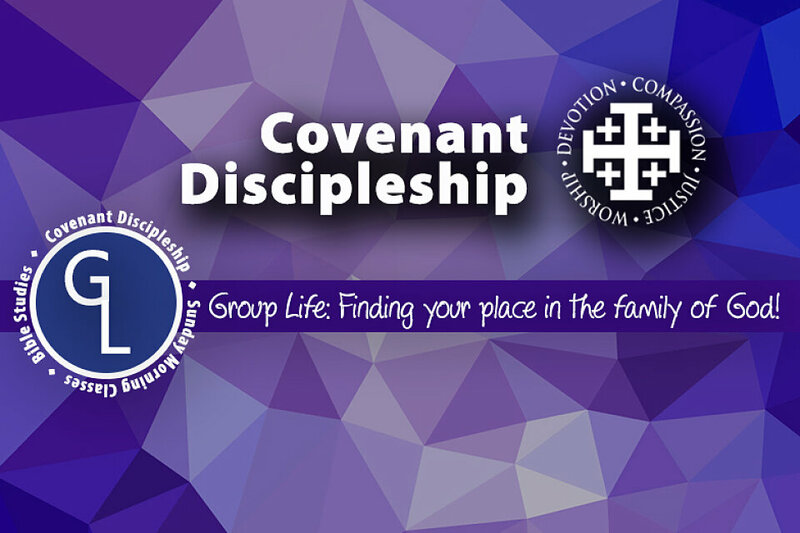 Why is Covenant Discipleship Important? Growth in the Christian Life requires a balance that is better achieved in community. Group members gather to “watch over each other in love” (John Wesley). Covenant Discipleship groups are a trustworthy and effective means of identifying and nurturing leaders in discipleship for the benefit of the whole congregation. February 21 from 9 a.m. to 3 p.m.
of Covenant Discipleship and Class Leaders.